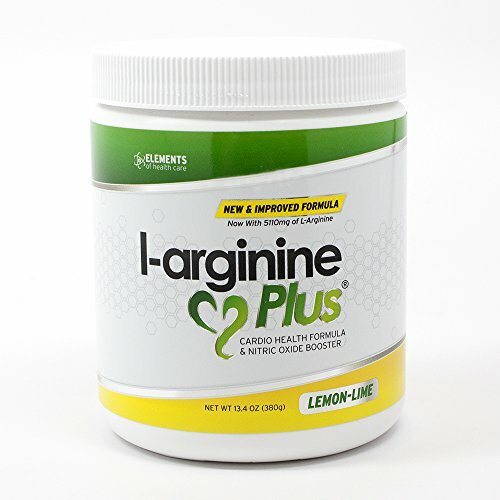 L-Arginine Plus Lemon Lime - L-arginine Formula for Blood Pressure, Cholesterol and More Energy. The #1 Heart Health Supplement (13.4oz.) by L-arginine Plus at Maximum Wellness. MPN: LP-10041. Hurry! Limited time offer. Offer valid only while supplies last. L-arginine PlusTM Cardio Health Formula is an affordable alternative to the expensive products first introduced by network marketing companies. L-arginine PlusTM Cardio Health Formula is an affordable alternative to the expensive products first introduced by network marketing companies. L-arginine PlusTM, Cardio Health Formula: Powder Supplement contains 5110mg L-arginine, 1010mg L-citrulline, as well as Vitamin B6, Vitamin B12, Vitamin D3, Vitamin C, Xylitol, Red Wine Extract and 72 trace minerals per serving. L-arginine PlusTM also contains Astragin which sets our product aside from all the competition! AstraGin is a 100% All Natural ingredient blend of two highly fractionated plant extracts, Panax notoginseng and Astragalus membranecous. This ingredient has been demonstrated to promote the absorption of amino acids up to 66%. When manufacturing L-arginine PlusTM, our company decided to use only the very best ingredients. We wanted to do more than make a similar product at a better price. We chose instead to make what we believe to be a superior product at a superior price. Because of that commitment, we buy only the highest-grade ingredients. Furthermore, we test the quality and potency of every ingredient that enters our facility. L-Arginine Plus is the most EFFECTIVE L-Arginine product on the Market! Give us 2 weeks and you'll be surprised...and so will your doctor! If you have any questions about this product by L-arginine Plus, contact us by completing and submitting the form below. If you are looking for a specif part number, please include it with your message.